IAS/IPS/IFS is the dream career of millions of aspirants. To get selected into services like IAS, you need to appear for UPSC Civil Services Exam. Are you searching for the UPSC Civil Services Preliminary Exam 2019 date? As per the official UPSC Exam Calendar, Civil Services Preliminary Exam 2019 (objective) will be conducted on June 02, 2019 (Sunday). The Main Exam (written) 2019 will start on September 20, 2019. 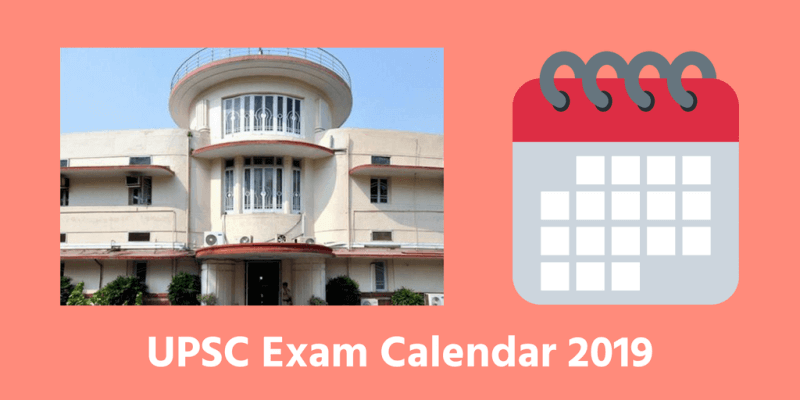 Aspirants will get more clarity on the UPSC Exam Calendar for 2019, once the UPSC CSE 2019 notification is out. The dates of notification, commencement and duration of Examinations are liable to alteration if the circumstances so warrant. UPSC Civil Services Preliminary Exam 2019 Date: How Should You Prepare? If you are entirely a beginner, 10-12 months of advance preparation before Prelims is usually advised to cover all topics for Prelims and Mains. This means, if you are planning to appear for Prelims 2019 (which is on June 2019), the recommended time to start preparing is June – August 2018. However, for most students, such a long advance preparation duration may not be needed. There are many candidates who clear IAS exam successfully with 5-6 months (or even less) months of advance preparation as well. Thus the key point here is not the quantity of time, but the quality of time spent. 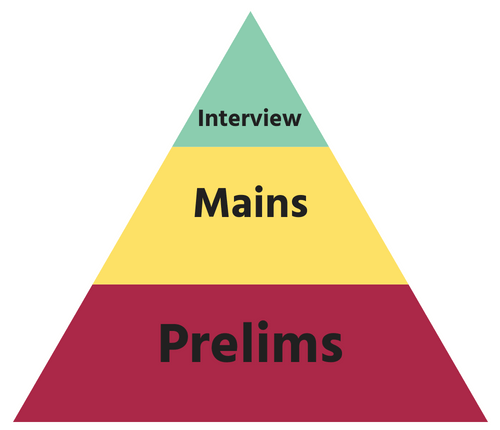 Aspirants should integrate Mains preparation with Prelims preparation, as you won’t get enough time to cover all Mains topics after Prelims (only 3.5 months). For efficient, fast, and focused preparation, candidates are advised to take ClearIAS Prelims Mock Test Series 2019 as per the timetable. 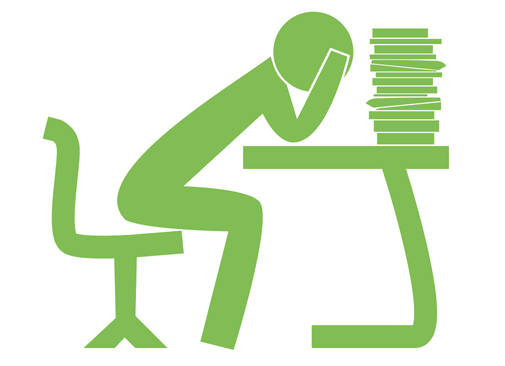 Ideally, you should take at least 1 mock exam every week – covering topics you studied the week before. This will help you cover almost all of the Prelims topics and many overlapping topics for Mains. Parallel to this, you should study additional topics like Ethics, World History, India Since Independence, Indian Society, Internal Security etc – which are topics extra to Prelims syllabus, relevant mainly for the Main Exam (written). ClearIAS UPSC Prelims Online Test Series 2019: Boost Your UPSC Prelims Score! ClearIAS UPSC Prelims Online Mock Test Series integrate learning with test-taking and help you learn faster. More than 2,00,000 aspirants registered within a short span of time for ClearIAS UPSC Prelims Test Series acknowledging the quality of our tests. 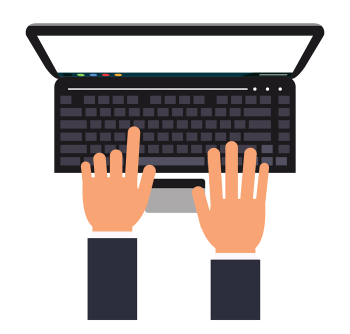 Take a free ClearIAS Prelims Mock Test and explore the features. More than 100 marks worth questions were asked in UPSC Prelims 2016, 2017, and 2018 – directly or indirectly – which had asked in ClearIAS Prelims Test Series 2016, 2017, and 2018. This had helped a lot of our students who enrolled for ClearIAS Prelims Test Series to clear UPSC Prelims with ease. 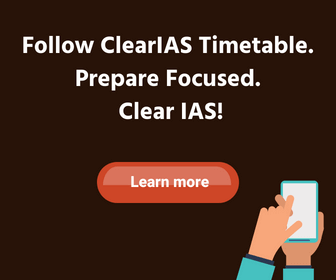 Enroll now for ClearIAS Prelims Test Series 2019 to get the early advantage. Prelims: The Civil Services Preliminary exam comprises of two compulsory papers of 200 marks each (General Studies Paper I and General Studies Paper II). The questions will be of multiple choice, objective type. The marks in prelims will not be counted for final ranking, but just for qualification for the main exam. Note: GS Paper -II (popularly known as CSAT) has been made qualifying in nature. This means that the candidate has to just score 33% marks in it. Only marks for GS Paper 1 will be counted for selection towards Mains. Mains: The written examination (main) will consist of the following nine papers, but only 7 papers will be counted for final merit ranking. For the rest two papers, the candidate should secure minimum marks prescribed by UPSC each year. Personality Test: The candidate will be interviewed by a Board who will have before them a record of his/her career. He/she will be asked questions on matters of general interest. The object of the interview is to assess the personal suitability of the candidate for a career in public service by a Board of competent and unbiased observers. The test is intended to judge the mental calibre of a candidate. Final Rank – A candidate’s rank in UPSC Civil Service Exam depends only on the mark scored in Main and Interview. The main exam has 1750 marks while interview has 275 marks. Please check the below links first, if you have any queries. If you still have concerns, feel free to post to your queries in the comment section. Kindly tell if me the age relaxation for Jammu and Kashmir students is going to continue for 2019 as well. I have confirmed it ,the age relaxation continues upto December 2019 for Jammu and Kashmir aspirants . And the information is very authentic. Dear simple if u r from j&k and born between 1980-1989,You are eligible to sit in upsc CSE 2019 examination…..
Sir my dob is 17sep.1998 so plz tell me can i give 2019 exams or not ? Sir, maine 12th pass kiya hai 2014 mai..
Avi study nhi karta hun, business hai..
Kiya mai EXAM de sakta hun…? my self Mrs. Jyostna Thorat , i am 30 years old & i am a B.com completed i want to give UPSC Exam, so plz tell me can i give 2019 exams or not ? Can you teach me to write the CSE in TAMIL? Sir I am final year in B.com. and I am 21 years old so I am allegible for indian foregion service exam 2019. Ans me sir plz. Sir I have completed my BA pass course with less then 40%marks.Am I eligible for UPSC exam. I have done bachelor in pharmacy. Can i take other subject for mains Exam. like History or Geography etc. I m b.tech (mech) student.I have one backpaper .so I can apply it’s 2019. Sir, Pls provide articlesyou in hindi also. When apply IAS application form , which month ? Iam pursuing college 3rd yr so my exam will be over after march or april maybe so can i also apply for this 2019? I’m G. Vishal my Bob is 25-9-1997 I’m I eligible for this exam. suppose union election held either April or May ; Is there any chance for CHANGE IN EXAM DATE ???? I am working and I want to prepare for the civil services examination please guide me so that I can prepare while working. As I want to be independent and not to be dependent on my parents I have chosen to work my aspiration for civil services examination is very much. Please tell me how shall I prepare for the preliminary and mains exam. When is the next exam? of UPSC ?? Sir I have one dought sir pls clear me . In school time I did tattoo in my chest.its a name sir it’s smaller in length not visible to outsider it’s nt based on any religion .it’s name only. that time bymistake I did .now my problem is in IM eligible ? Please tell me sir because of this IM confusion I nt able to give more insterst . What is the date should i apply for writing upsc exam which is going to be conducted on 2019 june? When where and how??? Is am eligible for attempting premils exams which is held on 2-june-2018 ? I am a working professional with pretty hectic work pressure. I work in bank but I am from Engineering background. Kindly help me on what optional should I pick other than Engineering subject. Sir i am 32 and i belong to backword class i have backword class certificate too can i apply?? please answer!!! I am 32 i am backword class i have backword class certificate not obc certificate am i elegible for upsc?? Please reply!! sir. any resource provided for aspirant of arunachal pradesh itanagar? I have done B.A. to distance and my date of birth is July04 1998 can i give upsc exam2019. Sir am miopic with -5.75 is there will be Any issue in future for selection in interview for IPS? 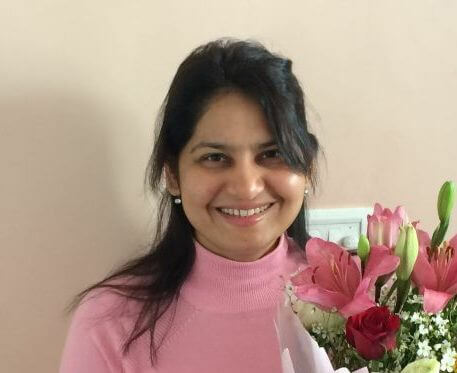 my self bhumika, i want to know …can i give upsc in gujrati ? I’m a Survivor of Acid Attack and Graduate from (Institute of Distance and Open Learning) under Gauhati University, Will there be any application fee for me in this condition ? Hi Nirupama, there is no application fee for women candidates for UPSC CSE. Also, graduation from distance/open university is accepted. Clear IAS! All the best! I am from karnataka .I don’t know English. I want pass IAS exam.how can start to study. ? Sir I want write exam in kannada.kannada is eligible to write upsc exam? Sir,my age is 27 right now,I am belonging from commerce stream,I am a private tutor,can I start preparation for IAS exam from now? Hi, The exam centres are only in India. You will need to come to India for appearing in Prelims, Mains, and Interview. In order to qualify as an OBC non creamy layer candidate, the applicant’s parents’ annual income should be less than Rs 8 lacs . Here, “income” refers only to the income of the parents; the candidate’s income is not considered. Candidates who fall under OBC creamy layer (parents’ annual income more than 8 lacs) are treated as general category students; they do not have any reservation for UPSC CSE. Hello sir I am krishna mohan, my DoB is 03 Apr 1984 and got Relaxation of age for 3 years Under OBC. But while filling the form getting a pop up ro check the date of birth. so could u please help out..
Can you please send me the links to apply for upsc preliminary exam 2019? I’m fresher and I need your help. If it is possible then please send the link to my email address. Email address is [email protected]. Is any change in the date of preliminary exam.Am interested to attend jipmer mbbs exam of this year,both the exams on the same date.kindly reply to my comment. When will your prelims 2020 test series begin ? Soon after Prelims 2019 (in June/July 2019). I am a student of class 7th . What should I read from now to clear IAS ?